We are back at work for 2019 and are looking forward to getting the best results for our clients in 2019. 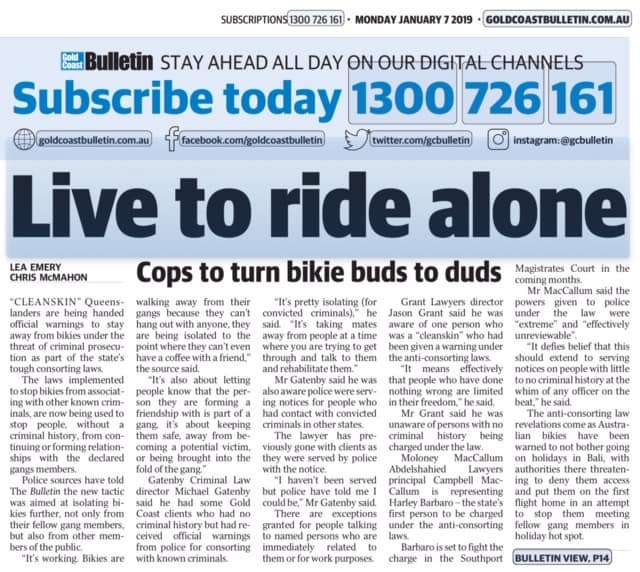 Our Principal, Michael Gatenby, has been featured in the Gold Coast Bulletin today commenting on the Consorting Laws. If you have any questions or have been served with a notice please contact our office to make an appointment on 55800120.